Sited in the ancient and sacred city of Varanasi, Sunbeam School, Bhagwanpur (estb.1974) is the flagship institution of the Sunbeam Group of Educational Institutions (SGEI) representative of high-quality education that has been the hallmark and stamp of excellence personalised by the dynamic duo of Dr Deepak Madhok, chairman and his wife Mrs Bharti Madhok, vice-chairman, SGEI. It has been their passion and dynamic vision that has firmly established group as the pioneer of 21st century English medium education in Uttar Pradesh. SGEI manages six owned and 18 associate English-medium schools as well as two colleges across Uttar Pradesh — India’s most populous state (pop. 200 million). Promoted in a modest rented building by the late Dr. Amrit Lal ‘Ishrat’ Madhok and Mrs. Deesh ‘Ishrat’ Madhok to make progressive English-medium education accessible to the educationally neglected citizens of Varanasi, the K-12 co-ed day Sunbeam School, Bhagwanpur (SS-B) has earned an enviable reputation in the holy city and beyond for providing high-quality English-medium schooling supplemented with sports and co-curricular education to its 3,974 students including 1,670 girls at affordable fees of Rs.60,000 per year. Affiliated with the Delhi-based CBSE, the school’s well landscaped 4.1 acre campus in the heart of Varanasi provides excellent infrastructure for academic, sports and co-curricular education. The wide palette of co-curricular activities and clubs including the Literary, Eco, Heritage, Health and Wellness, and Design for Change clubs, Commerce Colloquium, Big Fight, MUN, Mock Parliament, among others, help students boost their special intelligences, communication and leadership skills. Professional coaching and training is offered in several sports such as basketball, boxing, athletics, badminton, swimming, chess, and skating. In addition, vocal and instrumental music, dance and dramatics nurture the creative and artistic talents of students. “The distinguishing feature of Sunbeam Bhagwanpur is our focus on academic rigour and teaching-learning excellence. We believe that all children can be motivated to learn and it’s the role of teachers to encourage and enable them to realise their true potential. The school curriculum is rigorous with students given ample time and opportunities to pursue extracurricular activities. 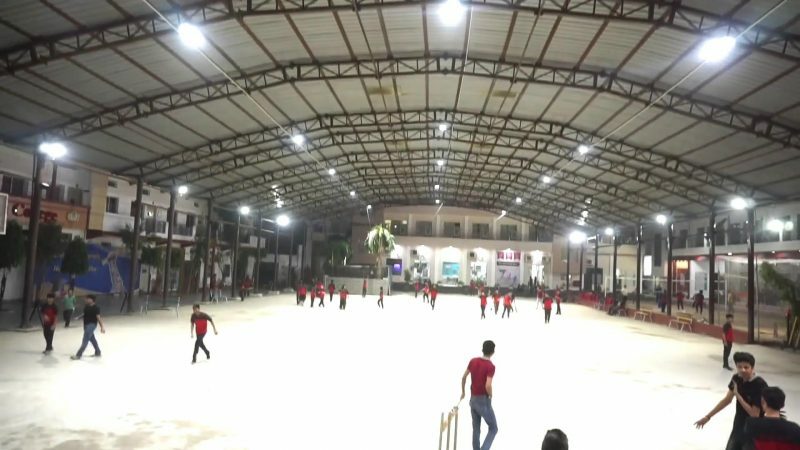 I believe it’s this combination of academically rigorous English-medium education and emphasis on sports and co-curricular education which has earned Sunbeam, Bhagwanpur a legendary status in Varanasi and Uttar Pradesh,” says Pratima Gupta, assistant director of SGEI. A postgraduate (M.Phil) in psychiatric social work from the top-ranked NIMHANS, Bangalore with an additional postgraduate diploma in psychological counselling from Annamalai University, Chennai, who has several years’ experience in youth counseling, Gupta signed up with the Sunbeam Group in 2001. 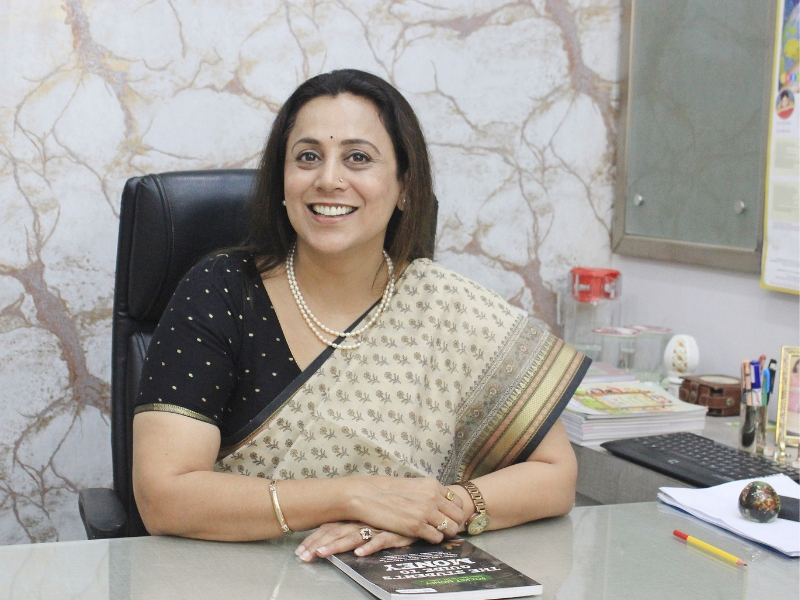 Since then, she has spearheaded the introduction of several innovative pedagogical practices in Sunbeam schools in addition to establishing strong parent-teacher-student connect systems. Given her vast experience in counseling youth, it’s unsurprising that SS-B is strongly committed to providing a stress-free and joyful learning environment for its children. “We have zero tolerance for negative behaviour, encourage peer mentoring and children to communicate openly with teachers, and make all effort to involve parents in their children’s educational journey. Moreover a teacher-student ratio of 1:20 ensures individual attention is provided to each child,” says Gupta. Experiential learning: Introduction of experiential hands-on learning in the curriculum across all subject disciplines. Robotics Lab: SS-B established the first-ever Robotics Lab of the city in 2016 to boost STEM learning. Cooperative Learning: Students are assigned group projects to enhance cooperative learning, team work, leadership and interpersonal skills, among others. Simulation: Audio-visual lectures of all practical lab sessions are provided to students so that they can revisit them at their own time. Flipped classroom: Short video lectures are viewed by students at home, while class time is devoted to exercises, projects and discussions based on the video lectures. Peer tutoring: High-performing students tutor and mentor slow learners ensuring positive peer involvement. Role play: From dramas to historical characters, students enjoy learning through role play. Cognitive apprenticeship: Logophilia Education and Mindspark programmes help build students’ higher order thinking skills (HOTS) through coaching, modelling and scaffolding. Team teaching: Teachers across subject disciplines collaborate to explain concepts to students by blending the curriculum through IBLDs (Integrated Blended Learning Designs). Learning by discovery: Educational tours and life skills camps promote learning by doing. Professional teacher development: Teachers attend regular workshops and professional development courses. 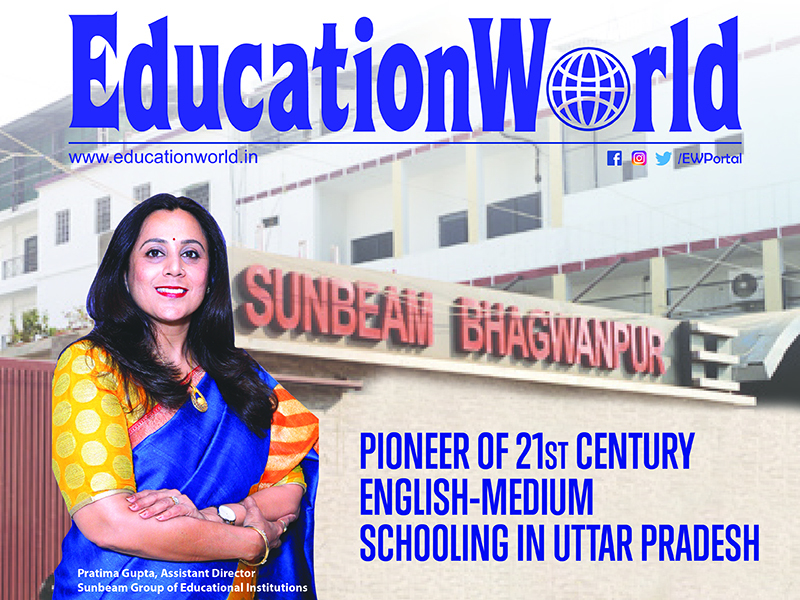 With its almost five-decades-old rich legacy defined by its commitment to delivering high-quality English-medium education, Sunbeam School, Bhagwanpur is widely recognised as one of the most progressive K-12 institutions of Uttar Pradesh which has adapted itself to changing times and pedagogies. 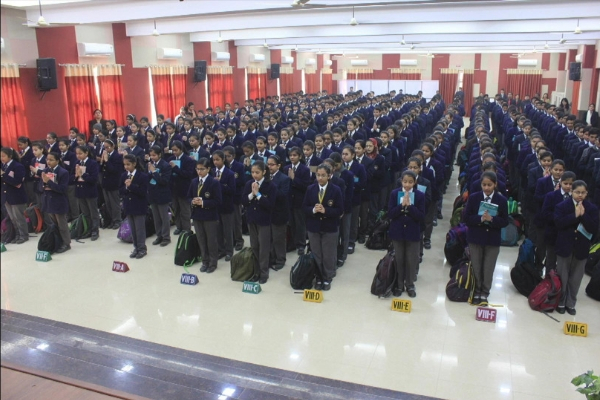 “Over the past 45 years, Sunbeam Bhagwanpur has evolved into a contemporary 21st century institution which focuses on the all-round development of students. We have adopted latest pedagogies and best global practices to help children develop the 21st century skills of critical thinking, creativity, collaboration and teamwork to enable them to succeed in an increasingly competitive world. We are committed to continuous improvement and making our children future ready – children who are firmly rooted in Indian culture and traditions but equally prepared to take up leadership positions around the world,” says Gupta.